Minden lehetőség adott ahhoz, hogy a DJ-k külföldön is fellépjenek. Régebben ez korlátozottabb volt, de a legnagyobb akadályt az idegen nyelvtudás hiánya okozta. Igen kedvező felkéréseket kellett visszautasítanunk, mert nem találtunk az igénynek megfelelő nyelvismerettel rendelkező DJ-ket. Szerintem a kommunikáció ma is szükséges - annak is, aki a műsorában egy szót sem szól. Például a tájékozódáshoz, amiben az alábbi információk is segítenek. Nightclub Disc Jockeys entertain by playing and mixing music for particular themes and events. They should be able to keep the dance floor crowded by creating a playlist and interpreting the crowd and evening. They may also engage the crowd by taking requests and acting as MC. Employment for Disc Jockeys (Nightclub) has declined by a rate of -11.1% over the past 5 years and is expected to further decline through 2017. Nightclub Disc Jockeys typically work late evenings/early mornings, especially on weekends. Many Disc Jockeys have regular, secured gigs at specific nightclubs daily, weekly or monthly and are able to use fixed equipment at the nightclub. They may accrue more gigs by creating a follower base of supporters. The Creative Industry Skills Council is the lead industry body providing high-level strategic vocational education and training advice to ensure future skills development and enhanced workforce capacity in the creative industries. If you've always wanted to be a radio personality, spinning records (or CDs) and entertaining your audience with your own patented brand of patter, then this could be just the business for you. As a mobile disc jockey, you'll roll to party locations, set up your equipment on-site and fill the night (or day) with music. You'll provide entertainment at all sorts of events, from weddings to office parties to open houses and birthdays. You'll also make sure guests are having fun, encouraging would-be wallflowers to get out there and boogie, teaching line dancing or the Watusi, and initiating bunny hops or conga lines. The advantages to this business are that, first and foremost, it's fun--if you're an extrovert with an ear for music, you can't do much better unless you're a live musician. It's creative, you can start part-time, you get to party while you work, and while you won't make a fortune, your earnings will be more than respectable. You've got to be an onstage, people kind of person who can not only entertain a crowd but draw others out and help them have fun, too. You should have an appreciation for lots of kinds of music--you can't refuse to play either Perry Como or Pink Floyd if that's what your clients and their guests want to hear--plus up-to-the-nanosecond music-industry knowledge of what's new and hot. And you'll need the skills and experience to operate all that equipment smoothly and easily. Your clients will be anybody who wants to party or help others have fun--couples or individuals, associations and organizations, corporations, and wedding and event planners. You can also target restaurant and nightclub owners. Send brochures to wedding and event planners and even caterers, who may refer you to other party planners. Place ads in your local Yellow Pages and newspapers. Post fliers on bulletin boards around colleges and frat and sorority houses. You'll need a sound system--CD player, mixer, speakers, amplifier, a microphone--and a major collection of music of all kinds. You should also have a vehicle suitable for carrying all this around in, and liability insurance and a policy to cover your equipment in transit. 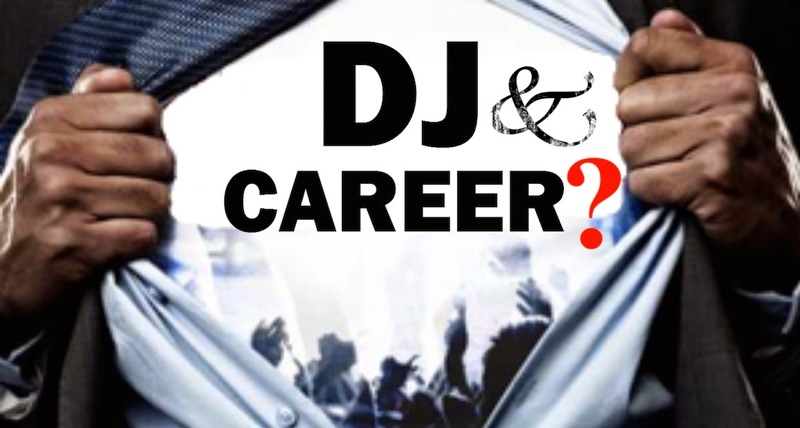 Most club, radio and mobile DJs are either self-employed or are offered freelance contracts. It is important that they build their reputation, are successful networkers and are committed to self-promotion. Occasionally, DJs are employed by clubs and the hospitality industry. Successful DJs can find work opening events and giving personal appearances. There are also increasingly good opportunities for experienced club DJs to work abroad. It is possible for DJs to move into related roles in music production, music retailing and recording. They could become club promoters, agents, remix producers, record distributors or even musical artists in their own right. If you would like to know anything about Disc Jockey, information can be found below.